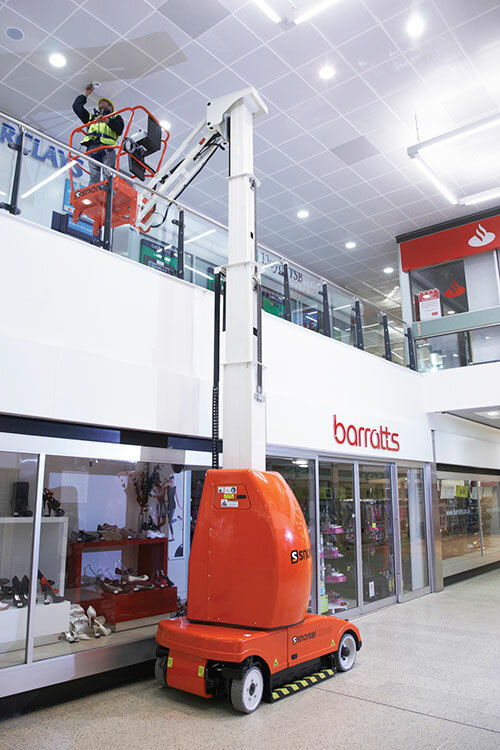 The Snorkel MB26J is an electric mast boom lift which can lift 215kg to a working height of 9.8m. Fitted with a jib boom, the MB26J is highly maneuverable and is ideal for applications requiring ‘up and over’ capabilities, particularly in confined spaces. All Snorkel machines are built to the highest standards and we carry out rigorous quality checks at every stage of production. To ensure our customers have peace of mind in purchasing Snorkel products, all Snorkel machines come with a five-year structural warranty, plus a two-year warranty for parts and labour. Snorkel UK provides nationwide coverage for any warranty or technical support required in the United Kingdom & Ireland. For more information, please contact us. Specifications subject to change without notice. Photos and diagrams on this website are for promotional purposes only. Refer to appropriate Snorkel operators manual for detailed instructions on the proper use and maintenance. Join our mailing list to keep up to date with the latest Snorkel UK news, events and product launches.